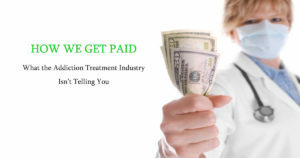 We have many options for financing addiction treatment for those in need of our rehab programs. Our St. Louis and Kansas City rehabs finance over the period of treatment, and beyond the duration of treatment, without credit checks. We also work with third-party organizations that specialize in lending to those in need of alcohol and drug rehab. Our internal financing allows many individuals and families to gain access to top quality care that otherwise isn’t available. Financing is available to those who are paying for the full costs of treatment and those who have health insurance but may need help with the amounts applied to their deductible or co-insurance. Contact our office to learn more about your financing options. We use this information safely and responsibly. We do not sell your personal information to anyone. On occasion, in order to maintain the level of service you’ve come to expect from us, we may need to share some personal financial information with employees of one of our affiliates and with selected business partners. However, we do not share this with these third-parties without your permission. My Treatment Lender is a subsidiary of Pacific Healthcare Solutions. Based in La Jolla, CA, Pacific Healthcare Solutions specializes in helping individuals obtain financing needed to pay for healthcare needs. My Treatment Lender was formed due to the need in the marketplace for a lending company to help people in need of substance abuse, and/or eating disorder treatment. Unfortunately, we have seen too many people die needlessly because they either couldn’t afford treatment or didn’t have the insurance to pay for it. Due to the stigma attached to drug, alcohol and eating disorders, they found many lenders unwilling to discuss the subject. They took it upon themselves to develop a lending program for substance abuse and eating disorder treatment where they could get more people into treatment centers, and thus, into recovery. They believe that people don’t have to suffer from alcoholism, drug addiction or eating disorders. There is a solution. By providing loans for treatment, they hope to be able to give people who want to recover the best chance possible. M-Lend provides the same service as My Treatment Lender with one major distinction. While My Treatment Lender helps clients obtain traditional financing, M Lend helps clients secure credits cards with 0% interest promotions. This benefits the client who can pay over shorter periods of time which limits fees and interest. You can learn more about M Lend by contacting our office.